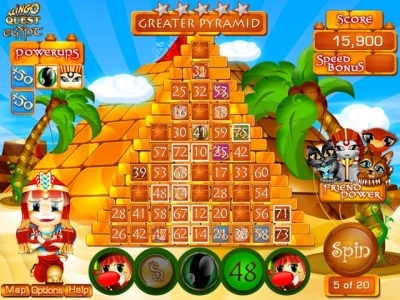 Travel to Egypt for some Slingo fun! The devil has stolen the best level in the game, and it's up to you to help the Slingo Cherubs get it back! Meet new friends, each with their own Slingtastic power to share with you. 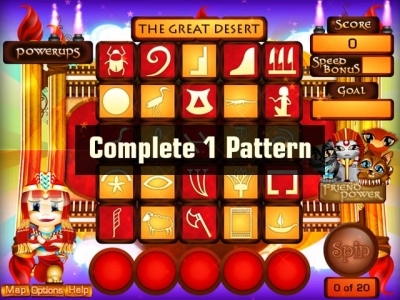 Can you journey through the fabulous lands of Egypt and win the Joker's game back from the devil? 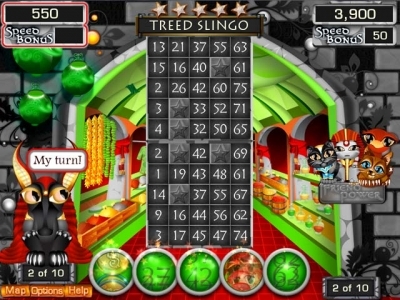 Master multiple minigames and save the day in Slingo Quest Egypt, a fun Board game!